Bajaj Auto Ltd is only a few weeks away from the official launch of the 2019 Bajaj Dominar 400. 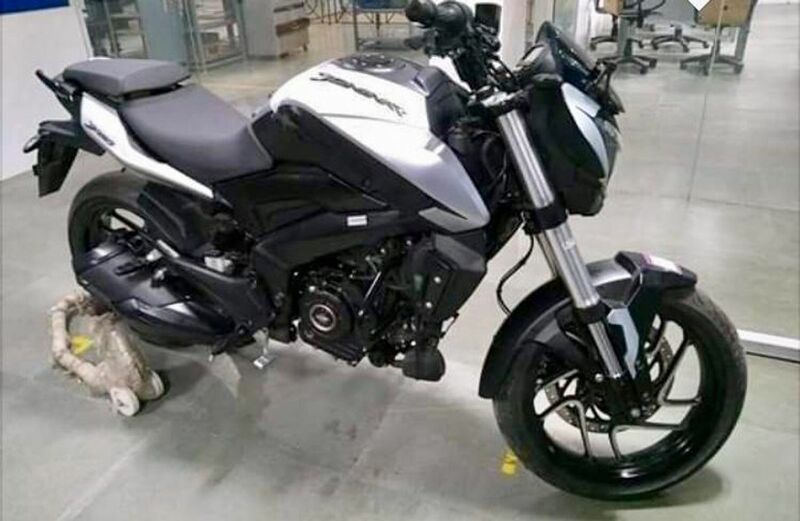 The updated motorcycle, which has been recently spied undisguised at an official dealership, thereby hinting that the launch of the new bike could be nearer than we expected it to be. 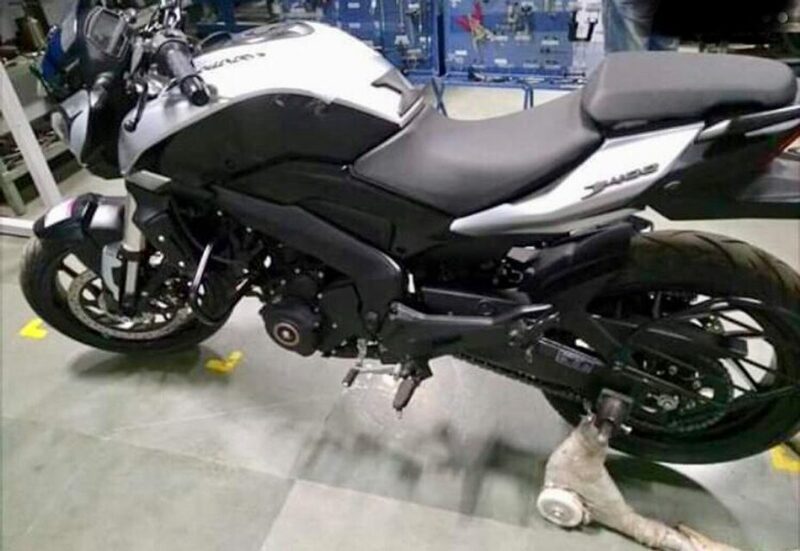 The 2019 Bajaj Dominar 400 has even been listed on the company’s official website. Also, with the recent spy pics coming in, we totally know what one can safely expect from the new motorcycle. The biggest change on the 2019 D400 will come in the form of the upside down front forks, which have replaced the conventional units of the current motorcycle. Also, the updated bike gets twin barrel exhaust end-can. Other than the above styling changes, the 2019 Bajaj Dominar 400 also gets an updated instrument cluster that offers more details, a bigger radiator for better heat management, and dual-channel ABS. The non-ABS version will be discontinued as the upcoming safety norms prevent the sale of non-ABS-equipped motorcycles with the engine above 125cc. The discontinuation of the non-ABS variant will even lead to a rise in the starting price of the Dominar range. The engine of the 2019 Bajaj Dominar 400 will get slight updates. The KTM Duke 390-derived engine will not get any major updates but the minor tweaks will enhance the refinement levels. Currently, the engine outputs a maximum power of 35 hp and a peak torque of 35 Nm and the liquid-cooled and fuel-injected engine should offer the same outputs in the updated motorcycle. The 6-speed manual transmission with the slipper clutch will be carried over unchanged. The 2019 Bajaj Dominar 400 will even offer lower NVH levels. The company is known to have added anti-vibration bits to the motorcycle to cut down on the vibrations. Bajaj models have repeatedly received flak for the low refinement levels and high vibrations from various parts. The company seems to be now making efforts to make its flagship product as trouble-free as possible. Currently, the D400 has been selling in pretty low numbers, with a monthly sale of fewer than 1,000 units. The 2019 Bajaj Dominar 400 could fare better on the monthly sales charts due to the several updates that it will carry. As we said, it will launch in the coming weeks and will be slightly costlier than the current model.